The top honeymoon destination for Irish couples heading on honeymoon is the Maldives, a new survey reveals. The second most popular is the US, followed by Italy, Mexico and Spain in third, fourth and fifth place. 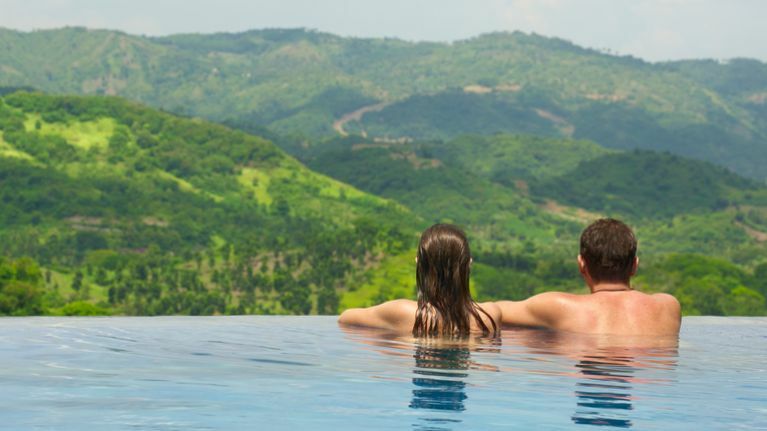 This finding, from the annual Weddings Online survey, shows a slight change from last year, when Mauritius and Bali were among the most popular spots for honeymooners, according to Emirates. The survey also found that the vast majority (90 per cent) of Irish couples take their honeymoon abroad but that many (59 per cent) wait until a few months after their wedding to jet off. Mini-moons are growing in popularity with Irish couples - almost half now enjoy a break away in Ireland straight after they get married. Those surveyed spent an average of €5,261 on their honeymoon. That figure represents a big chunk of the average Irish couple's average wedding spend of €26,015. Almost two thirds (62 per cent) of couples use savings to pay for their wedding, while 22 per cent get help from their parents and almost one in five (18 per cent) take out a loan to help cover the cost. Lots of couples (60 per cent) went over budget for their big day, with 13 per cent admitting to spending €5,000 more than they had anticipated. The survey also revealed that the average age of a bride in Ireland is 31, while for a groom it's 33 and a staggering amount of respondents to the survey (84 per cent) said they used the HIGM (Help I’m Getting Married Facebook Group) for their wedding planning.